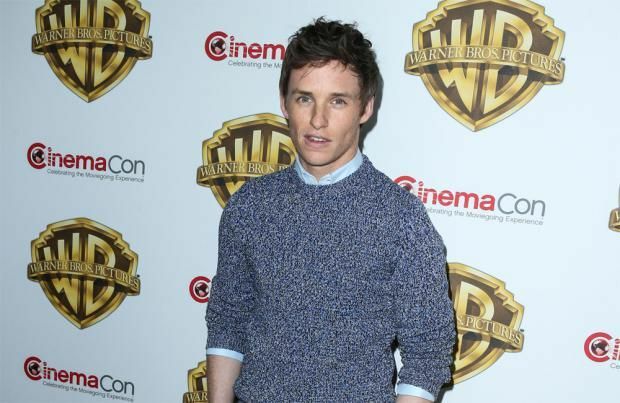 Eddie Redmayne got "stage fright" from using a wand in 'Fantastic Beasts and Where To Find Them'. The 34-year-old actor, who plays Newt Scamander in the upcoming 'Harry Potter' spin-off film, has admitted the "best moment" in his life was being able to pick up a wand and channel his "inner nine year old", although filming scenes with the magical gadget also terrified him. Speaking about the prop to SFX Magazine, the 'The Theory of Everything' star said: "It was so weird. Because when you get to pick up a wand, your inner nine year old is having the best moment of his life. 'Oh my god. I get to use one of these!' And then you pick one up and go, 'Oh. Why does this feel so weird? What do I do without it? I got complete stage fright!" And the dark-haired hunk has admitted his on-screen character is "nutty". He explained: "[Newt's] a nutty character, and slightly spiky. He gets on with his creatures better than human beings. "He's a weird anomaly of things; like being quite physically awkward while also being incredibly agile and capable. I love him." Meanwhile, Redmayne has admitted he "grilled" J.K. Rowling about his character when he met the author because he only had one hour to spend with her, which he took as the prime opportunity to delve into his alter ego. Speaking previously, he said: "I got to meet J.K. Rowling. I had about three or four months prepping the film, and just about a month I think before we started filming, I was here in Leavesden and J.K. Rowling came and it was this sort of brilliant or slightly odd moment in which David Yates sort of introduced her and I knew that she was only going to be here for an hour and I think I was sort of like, 'Hello, nice to meet you!' And just basically grilled her for an hour she came to set the other day and I was like, 'I am so sorry.' But it was so phenomenal."